Many professional service providers struggle to meet their growth and sales goals. We have a system that helps you overcome your challenges and convert more clients. Whether you’re interested in learning about building a more effective framework around your conversations with clients, how to demonstrate your expertise in a way that builds trust, or how to structure meetings to increase conversion rates - listen to Nancy Bleeke. Convert more prospects into long-term clients in just 10 weeks, they’ll thank you for it! What Makes Sales Pro Insider so Different? When it comes to growing a firm, many professional service providers have a desire to help people but struggle when it comes to the “selling” part. Too many still think of sales as a “dirty word”. We think that’s a shame and have spent decades on a mission to help businesses grow…genuinely and ethically. Sales Pro Insider has worked with thousands of highly educated and credentialed professionals to guide them in implementing a proven and systematic approach to confidently convert more leads, without compromising their values. We know you shouldn’t have to spend so much time and money to help people understand the value of what you offer. When you confidently clarify and communicate your value and collaborate with your “buyers”, your sales goals become reachable, your confidence soars, you win more clients, and your frustration and fears become a distant memory. The Genuine Sales Course is created by Nancy Bleeke. Nancy has studied sales for decades and wrote the gold medal winning book Conversations That Sell which has been declared a Top Sales Book of All time by Book Authority in 2018 and is a “must-read” for financial advisors around the world. She’s consulted thousands of business leaders, from small businesses to Fortune 100 companies, to grow their sales. Thousands of Nancy’s clients have dramatically increased their revenue from implementing the system shared through the Genuine Sales Course. And because of our experience with countless professional service providers, we understand your business opportunities and challenges, and will guide you to make the system work for you. Not only is Sales Pro Insider different, the Genuine Sales Course is different as well. More than just a “one and done” experience, we work with you to implement the collaborative approach so you can confidently map out your sales conversations from preparation to close with frameworks you’ll make your own. 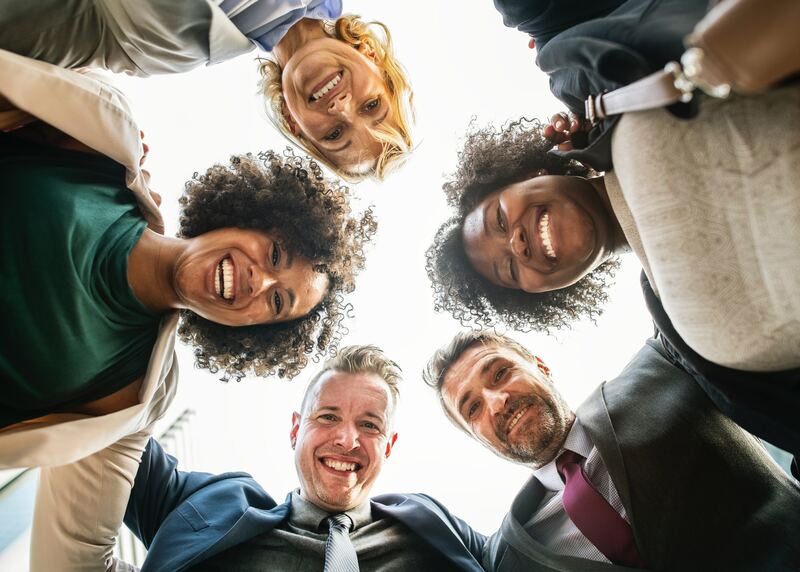 Learn a proven approach and system that will build your confidence to succeed in your selling efforts – you don’t have to be a manipulative, aggressive, fast-talking sales person! Clarify and communicate the value you bring to every prospect – it may surprise you to identify your ability to “pitch” isn’t nearly as important as your focus and the questions you ask first. Amplify your skills to consistently use productive conversations to convert prospects into clients – your conversations become the most valuable tool you have! We can’t explain it as well as our very loyal clients. Live facilitated sessions mean you work with an experienced trainer/facilitator who will guide you and the other course participants through real-time activities and practice to make the frameworks and systems work for you! You’ll “learn” the system in bite-size sections before the live workshops so you spend the time in the workshop hands-on to make it your own – meaning you can put the system components into action immediately following each live, group session. Why is that important? You’ll start to benefit from the course sooner! The videos and resources allow you to learn and take in the foundation information at the pace that works for you. Watch the video once or 5 times, its up to you! Another workbook, yippee! Said no one. The Genuine Sales Course workbook is valuable because it’s where you will brainstorm and document the specifics of the system that will work in your business, with your style. Named one of the Top Sales Books of All Time in 2018, Conversations That Sell will be your “forever reference” for productive conversations. It’s full of examples for every part of the conversation. The collaborative community becomes the place for you to beg for help, brag when you have success, and be comfortable with others who don’t want to be the product pushing, manipulative, and self-serving “salesman” they’ve tried to avoid their whole life. An investment – a good one that is – pays a return. What do we mean by that? How many monetary or time investments have provided a direct payoff financially and in your confidence? We bet not many. So, think about what your current sales efforts are costing you: How many times do you hear “No” every month? How many potential clients are missing out on your help because they haven’t understood your value? How much longer will you be able to continue your business with your current closing rate? What are your options if you need to close your doors? We know how much your money means to you and are confident that you will earn a positive return…if you do the work, participate, and put it into practice! 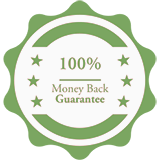 That’s why we confidently offer a 100% Money Back Guarantee for any course graduate who has completed all the coursework and hasn’t earned an ROI within 6 months of completion. 99.6% of our participants earn a positive ROI before they finish the course! The Genuine Sales Course is more than just a “one and done” experience. We work with you to implement the collaborative approach and make it your own. Why? So you can confidently map out the sales conversations from preparation to close with frameworks that will convert more prospects to clients. The process of how we work with you is just as important as the system we share. Rome wasn’t built in a day they say, and neither will your confidence and skill for collaborative selling. That’s why the 10-week process pays off! CFP®, CRPC®, MBA, Financial Symmetry Inc.